If you seek new carving ideas before creating this fall's jack-o-lantern, browse through the pumpkin pictures linked to below for inspiration. What, your hand isn't steady enough for such work? No problem. Let the patterns (stencils) linked to below serve as your guide. Jack-o-lanterns have long been a favorite type of outdoor Halloween decoration, and the pumpkin pictures in this gallery are sure to get your artistic juices flowing. The photos were taken at the famous pumpkin festival held annually in Keene, NH, where the legendary creativity of New England can be sampled every October. You'll find all sorts of carving ideas here, ranging from Frankenstein faces sure to delight the kids to more tasteful themes to pique the interest of adults. Besides carving, you can also paint pumpkins and/or ornament your jack-o-lanterns with various decor glued onto them. Who knew there were so many ways to decorate a pumpkin? Enough with the inspiration, you say? You require something a bit more concrete? These printable pumpkin-carving patterns will give you the confidence you need to begin your project. Wouldn't a werewolf or a Medusa jack-o-lantern look good on your porch this fall? This gallery of stencils is similar to that above, except the themes are strictly scary. Want to paint or carve a skull on your pumpkin? 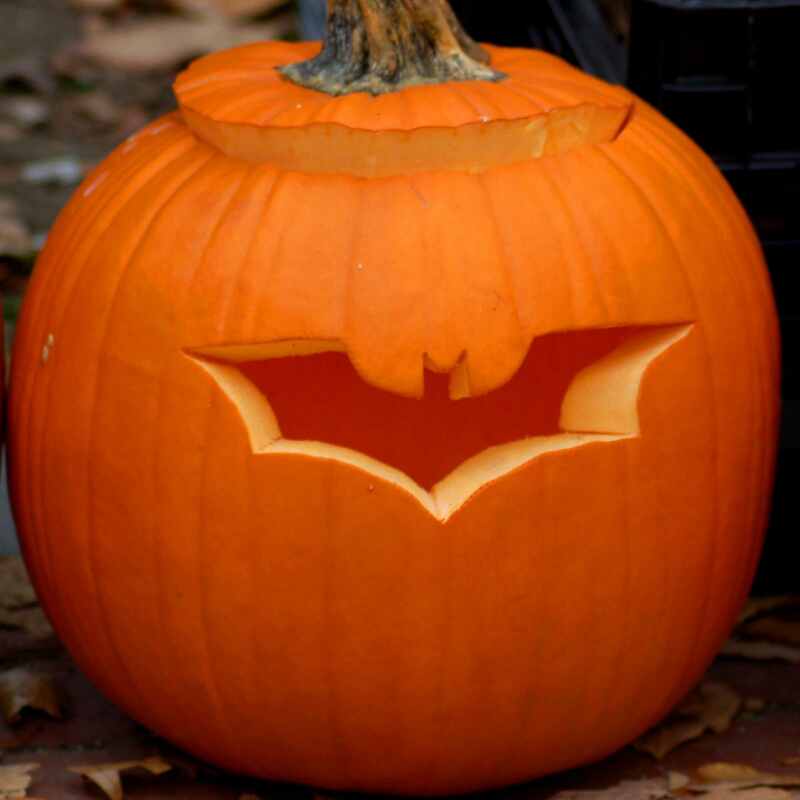 How about a devil or a Jason, or display flying bats on your Halloween jack-o-lantern this year? After browsing the pumpkin pictures, you're ready to roll up your sleeves and get carving. Have you ever carved a jack-o-lantern before? While the concept behind the project is easy enough for beginners to grasp in the abstract, unaided, it's like anything else: there are little tricks that it really pays to know. That goes double for a project involving a knife, which raises safety issues. Are pumpkins always the optimal medium for your decorating work? No, they're not, especially if it is important to you that your creation last for a long time. Pumpkins rot too readily. When they do so, all your hard work goes down the drain. Hard-shell gourds could be just the medium that your carving or painting exploits are crying out for. Make a jack-o-lantern or other ornament with one of these durable gourds and you'll be able to enjoy it year after year.